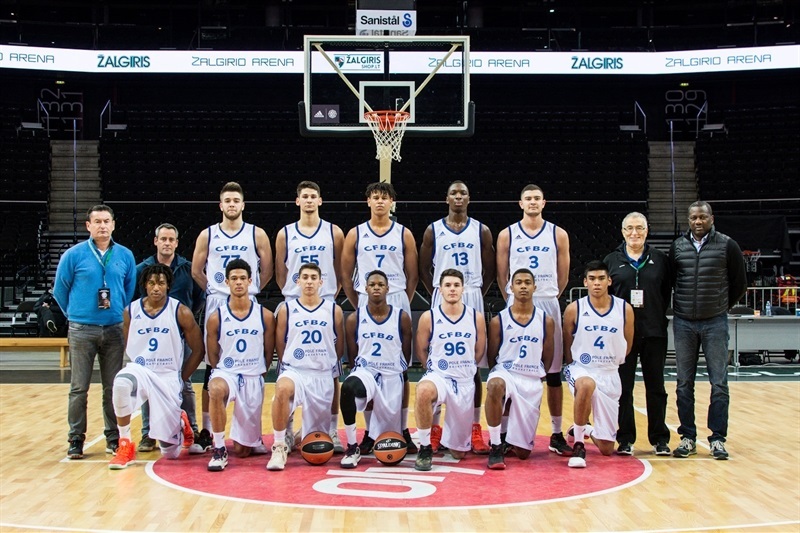 U18 CFBB Paris opened its EUROLEAGUE BASKETBALL ADIDAS NEXT GENERATION TOURNAMENT Kaunas campaign with an 88-63 victory over U18 Fenerbahce Istanbul in Group A. Ivan Fevrier picked up 16 points, 9 rebounds, 2 assists and 2 steals while Yves Pons came off the bench to collect 16 points, 6 rebounds, 4 steals and 3 blocks. 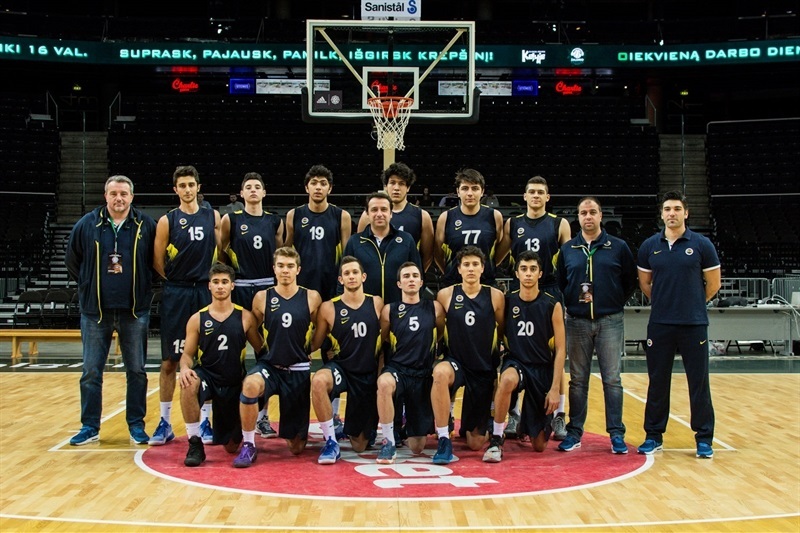 CFBB next take on U18 Lietuvos Rytas Vilnius on Friday. 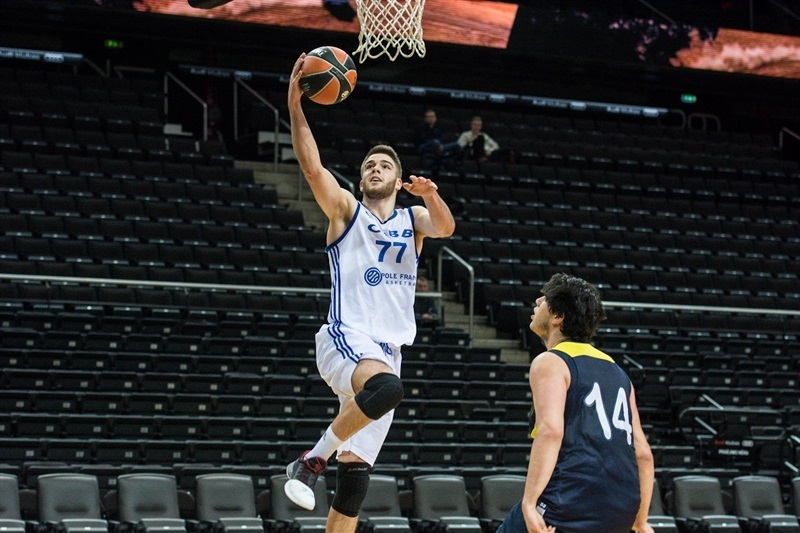 Ahmet Can Duran paced Fenerbahce with 13 points and 6 rebounds. 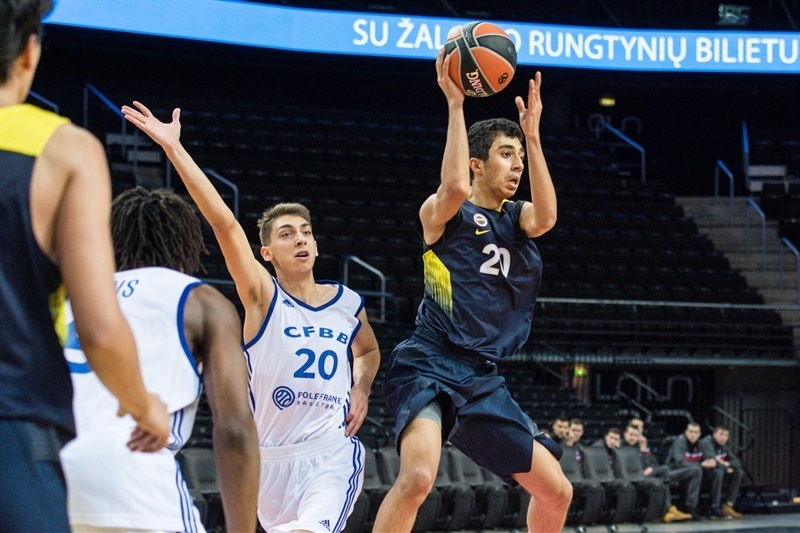 Fenerbahce will play against U18 Fraport Skyliners. Adem Bayrak hit for 5 points as Fenerbahce opened up a 5-9 lead. And the gap was 10-16 after four Mert Halavurte free throws. But CFBB got 3 straight steals which helped Fevrier score 8 points in a row over the final 2 minutes of the first quarter and CFBB was leading 18-16. Pons came off the bench for 4 points and CFBB’s run was 17-0 spanning the quarters for a 27-16 lead. Fenerbahce struggled to get back into the game as they committed 15 turnovers in the first half. But Ugur Celik helped get the gap down to 31-25. The French club was leading 38-30 at intermission. 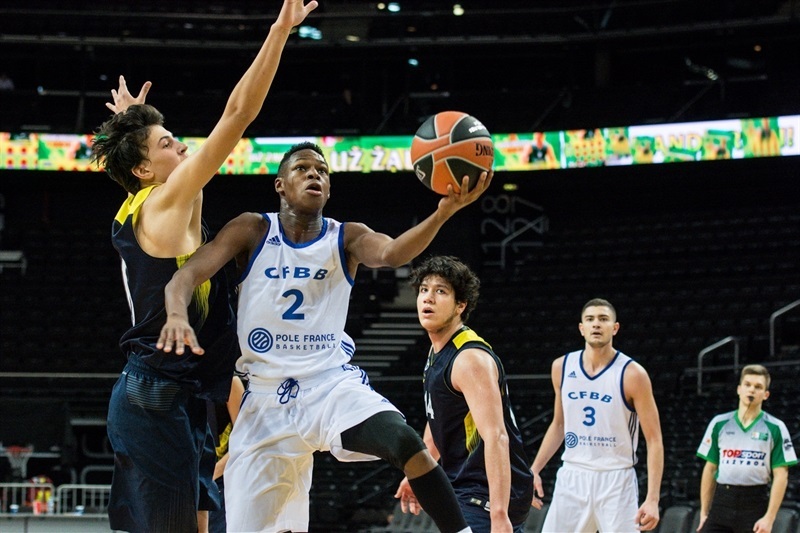 Fevrier and Yannick Blanc spearheaded a strong CFBB start to the second half as the lead grew to 50-36. 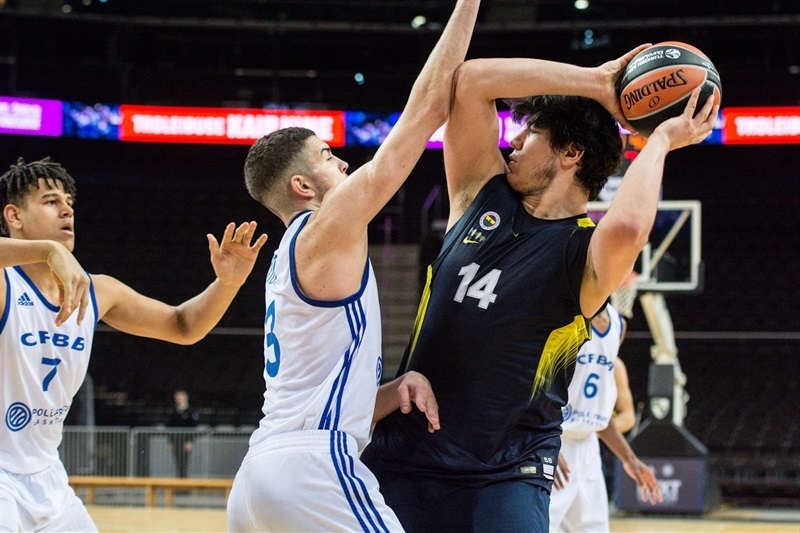 Fenerbahce was able to hold CFBB scoreless for more than 3 minutes and Cengizhan Ivedi hit 4 points as Fenerbahce closed to within 50-45. 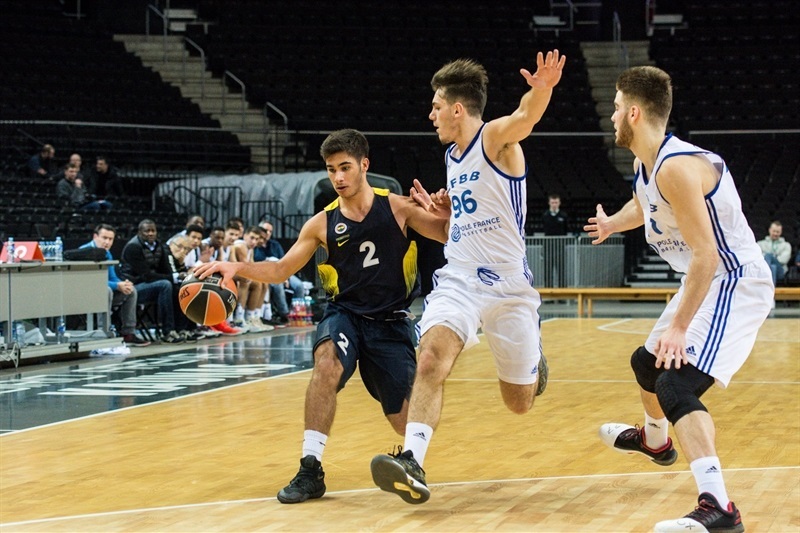 Pons stopped the 0-9 run with a three-pointer and added a dunk and Sofiane Briki nailed a three-pointer as well as the CFBB lead was 62-46 after three quarters. 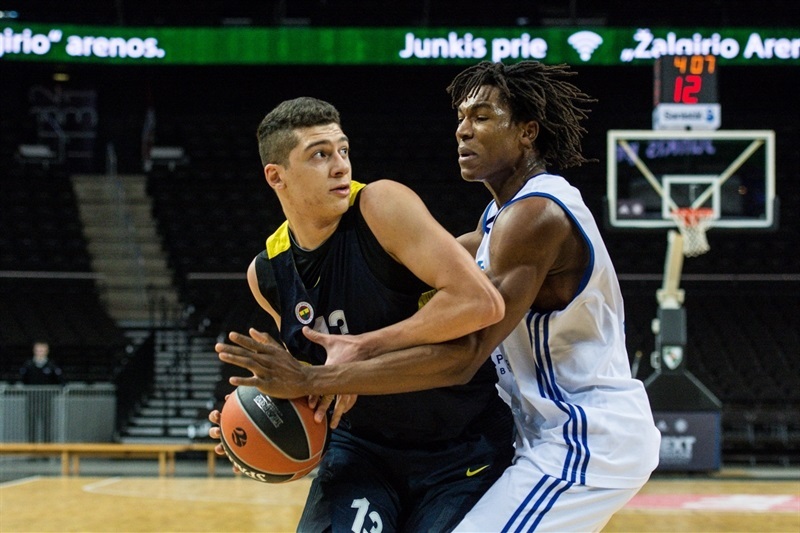 Fenerbahce opened the fourth quarter with 5 straight points but Fevrier answered with a dunk and then Pons followed with two powerful dunks and the gap was 17 points. 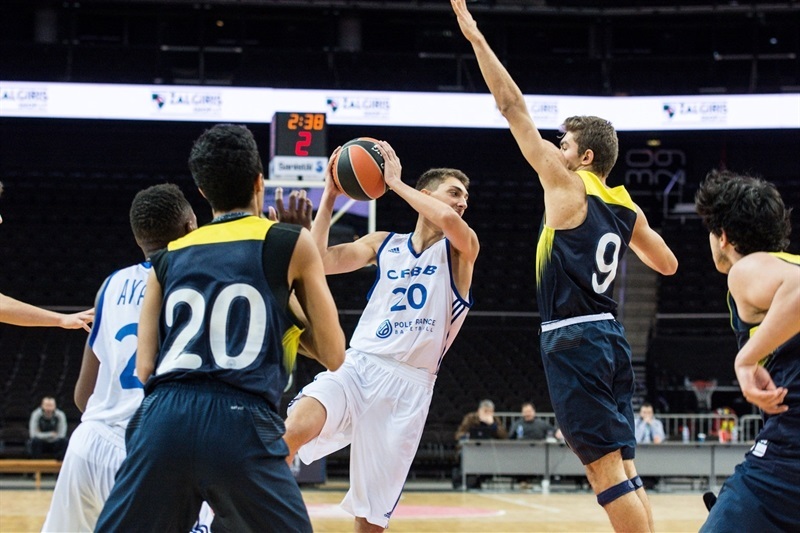 Pons would add another three-pointer down the stretch as the French club increased the lead to over 20 points.